holo wow! 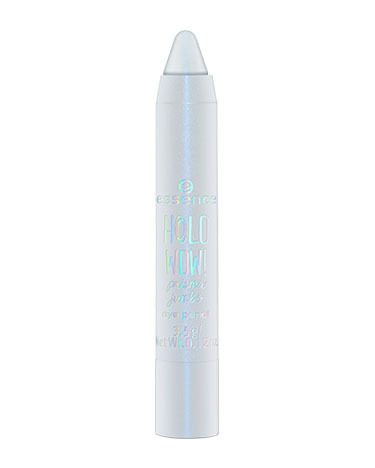 prisma jumbo eye pencil has a rating of 3.0 stars based on 1 reviews. 01.INGREDIENTS: ISODODECANE, CYCLOPENTASILOXANE, CERA MICROCRISTALLINA (MICROCRYSTALLINE WAX), TRIMETHYLSILOXYSILICATE, SYNTHETIC FLUORPHLOGOPITE, SYNTHETIC WAX, ISOCETYL STEAROYL STEARATE, PARAFFIN, DISTEARDIMONIUM HECTORITE, CERA ALBA (BEESWAX), COPERNICIA CERIFERA (CARNAUBA) WAX, C20-40 ALCOHOLS, GLYCERYL CAPRYLATE, PROPYLENE CARBONATE, TIN OXIDE, MONTAN CERA, POLYETHYLENE, BHT, CI 77891 (TITANIUM DIOXIDE). 02.INGREDIENTS: ISODODECANE, CYCLOPENTASILOXANE, SYNTHETIC FLUORPHLOGOPITE, CERA MICROCRISTALLINA (MICROCRYSTALLINE WAX), TRIMETHYLSILOXYSILICATE, SYNTHETIC WAX, ISOCETYL STEAROYL STEARATE, PARAFFIN, DISTEARDIMONIUM HECTORITE, CERA ALBA (BEESWAX), COPERNICIA CERIFERA (CARNAUBA) WAX, MICA, C20-40 ALCOHOLS, GLYCERYL CAPRYLATE, PROPYLENE CARBONATE, TIN OXIDE, MONTAN CERA, POLYETHYLENE, HYDROGENATED POLYISOBUTENE, BHT, PALMITIC ACID, PHENOXYETHANOL, BENZOIC ACID, CI 19140 (YELLOW 5 LAKE), CI 42090 (BLUE 1 LAKE), CI 77891 (TITANIUM DIOXIDE). 03.INGREDIENTS: ISODODECANE, CYCLOPENTASILOXANE, CERA MICROCRISTALLINA (MICROCRYSTALLINE WAX), TRIMETHYLSILOXYSILICATE, SYNTHETIC WAX, SYNTHETIC FLUORPHLOGOPITE, ISOCETYL STEAROYL STEARATE, PARAFFIN, MICA, DISTEARDIMONIUM HECTORITE, CERA ALBA (BEESWAX), COPERNICIA CERIFERA (CARNAUBA) WAX, SILICA, C20-40 ALCOHOLS, GLYCERYL CAPRYLATE, PROPYLENE CARBONATE, HYDROGENATED POLYISOBUTENE, MONTAN CERA, POLYETHYLENE, TIN OXIDE, BHT, PALMITIC ACID, PHENOXYETHANOL, BENZOIC ACID, CI 19140 (YELLOW 5 LAKE), CI 42090 (BLUE 1 LAKE), CI 77891 (TITANIUM DIOXIDE). 04.INGREDIENTS: ISODODECANE, CYCLOPENTASILOXANE, CERA MICROCRISTALLINA (MICROCRYSTALLINE WAX), TRIMETHYLSILOXYSILICATE, SYNTHETIC WAX, MICA, ISOCETYL STEAROYL STEARATE, PARAFFIN, SILICA, DISTEARDIMONIUM HECTORITE, CERA ALBA (BEESWAX), COPERNICIA CERIFERA (CARNAUBA) WAX, C20-40 ALCOHOLS, GLYCERYL CAPRYLATE, PROPYLENE CARBONATE, MONTAN CERA, POLYETHYLENE, BHT, CI 75470 (CARMINE), CI 77891 (TITANIUM DIOXIDE).